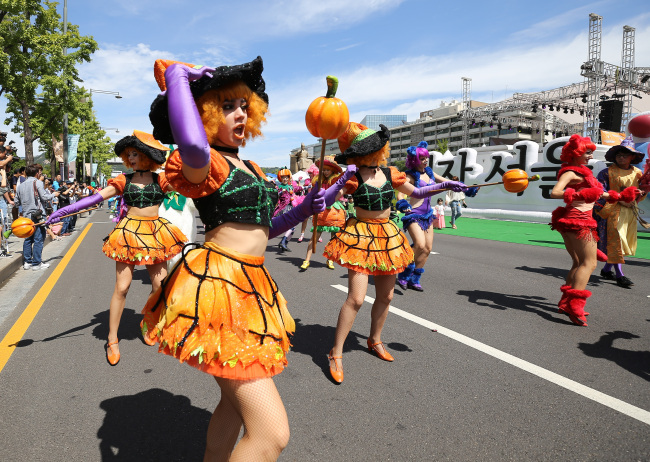 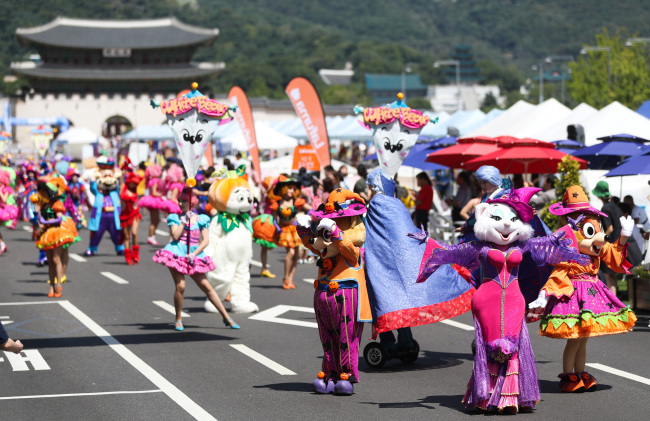 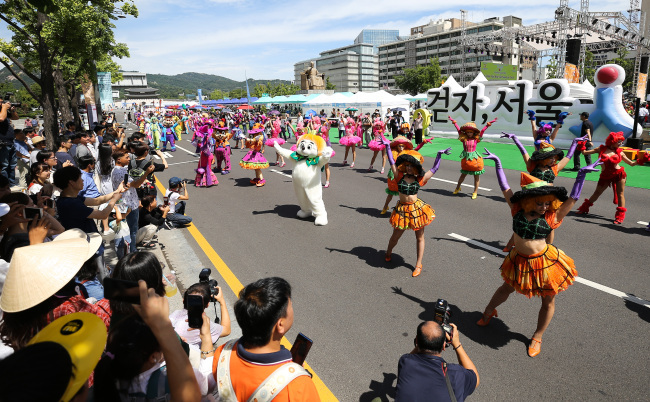 The first weekend of September in Seoul was greeted by an array of colors presented by the Halloween Party Parade. 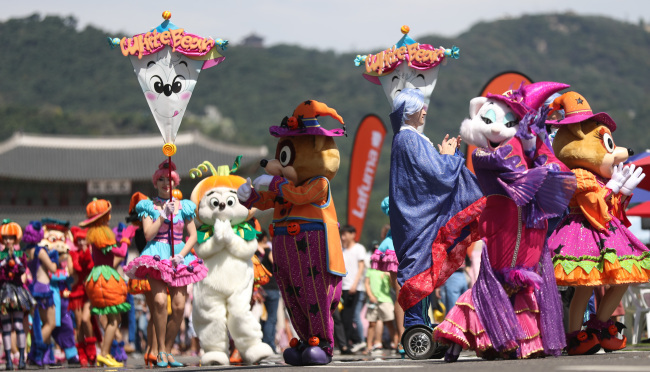 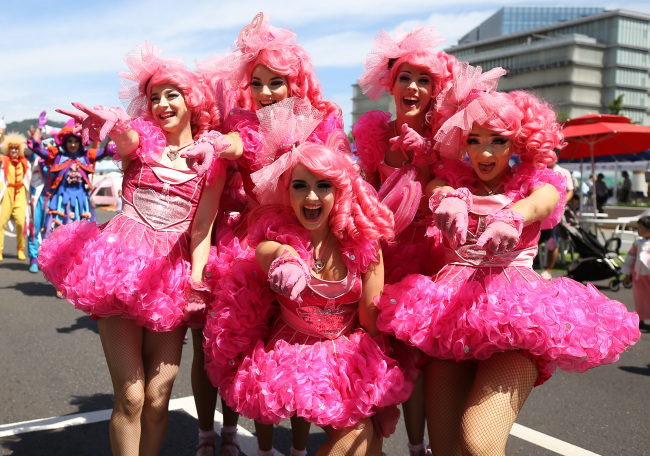 Featuring performers of Lotte World Adventure, the event was held in Gwanghwamun in central Seoul on Sunday. 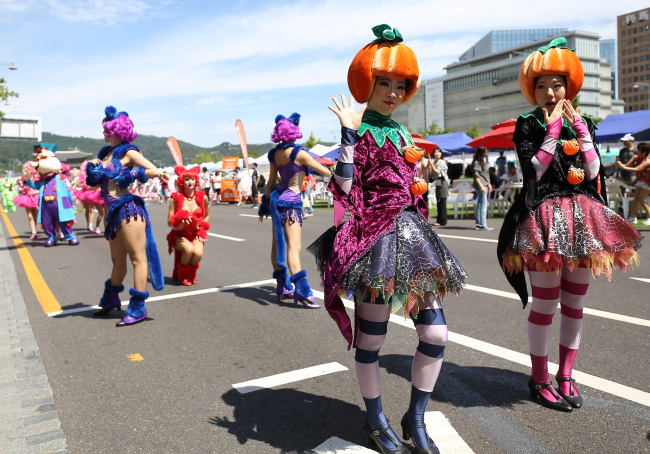 Participants clad in colorful Halloween costumes danced to music and waved at citizens and tourists.